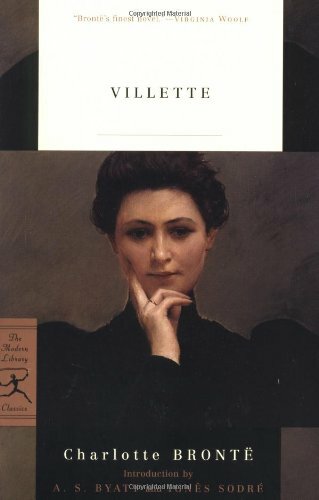 Villette was the last completed book by Charlotte Bronte. It tells of a woman, Lucy Snowe, who travels to the fictional town of Villette to teach after some unspecified tragedy. Charlotte reworked a lot of the elements from The Professor and it’s also based a lot on her time as a teacher in Brussels and her love of a (married) professor, M. Heger. I’m going to be honest and say I had a hard time with this book. It was hard to even go back into it for the review. I can’t say, however, that it’s a bad book. It actually is well-written– much more interesting than The Professor, and contains fewer excess details than Shirley. But I can’t love it the way I do Jane Eyre. Yes, it has all of Charlotte’s usual prejudices against anything un-English, and it’s chock-full of Victorian coincidences, but that’s not why I couldn’t get into it. See, Villette is not a happy book. Any time things seem to be looking up for Lucy, all her hopes are essentially smashed. The ending is left deliberately ambiguous but the book on the whole is a real downer, at least for me. My other problem with the book was the character of Lucy Snowe herself. The book is told from her point of view, but I found her really cold as a narrator. She’s like an older (not by much), more jaded Jane Eyre. She withholds facts from the reader- a lot of facts- and my inability to connect with her made me also unable to connect with the book. Perhaps I’ll be able to appreciate it more when I’m older but for now I can only say I respect it.